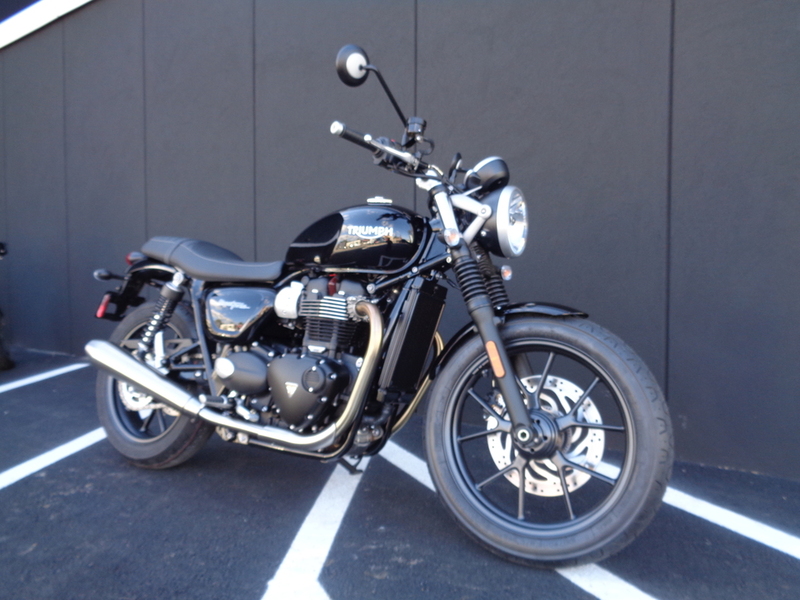 THIS 2017 TRIUMPH BONNEVILLE STREET TWIN IN JET BLACK IS IN NEW CONDITION WITH NO MILES ON IT. ORIGINALLY BIKE WAS $9100. NOW ONLY $7499.00. THAT IS A SAVINGS OF $1601. ALL TRIUMPH INCENTIVES REFLECTED IN PRICE. LIMITED TIME OFFER. BIKE COMES WITH TWO YEAR UNLIMITED MILE FACTORY WARRANTY. FINANCING FOR ALMOST ANYONE! ALL TRADES WELCOME! PLEASE CALL 914-358-1154 TO MAKE SURE IT IS AVAILABLE.